Setting auto reply for emails helps in dealing with official messages without compromising on the clients. If you prioritize your business and clients, then auto reply is for you and this segment lets you know how to set it up for your Outlook account. 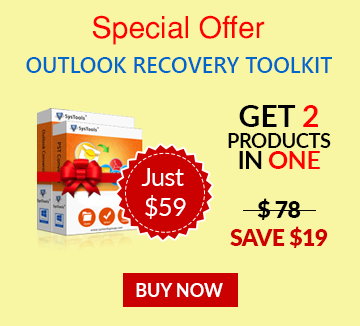 Although Microsoft Exchange users have provision for the same in the form of 'Out of Office Assistant'. 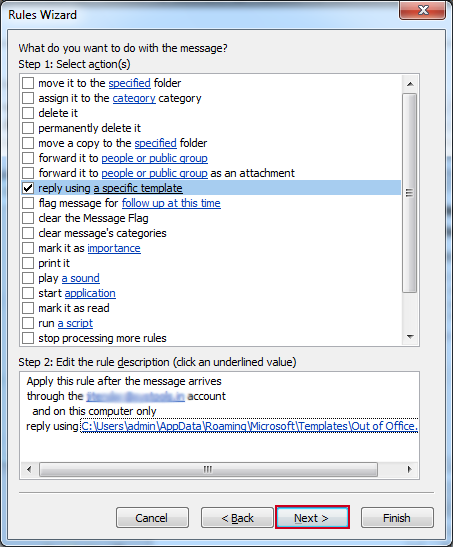 However, as far as other configurations of Outlook are concerned, there are methods that can be implemented to automatically reply to email messages using Rules. You can enjoy being wherever you are and Outlook will handle the rest in your absence. If you are doing this for someone else, you need to know first as to which type of configuration is done on the Outlook. The simplest way to do so is ask them while the next best thing to do is check the same through Account Settings. 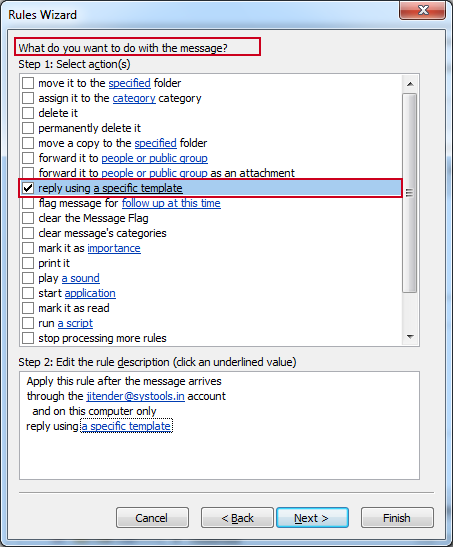 In Outlook 2010, you have the provision of applying settings that enable the account to send out automatic replies to selective or all the people contacting you through email. How to Set up Auto Reply Rule? 1. Start with creating a Rule just like it is generally done. Click on New Rule from the Home Tab. Go to Rules and click on Manage Rules and Alerts. 2. 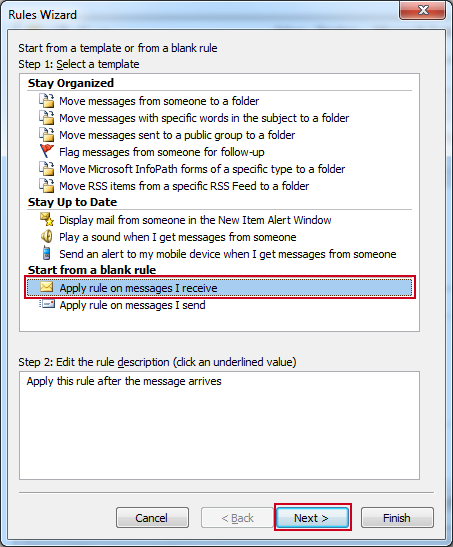 Now from 'start from a blank rule' section, select 'Apply rules on messages I receive'. 3. 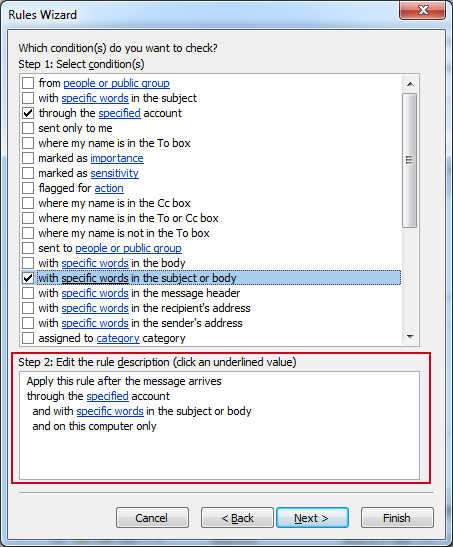 Specify the conditions that you want to apply for the rule to function accordingly by using the checkboxes provided against each. NOTE: For sending auto replies to messages that are only received from a certain account or received with a specific term mentioned in the message body or subject then the respective options can be selected from the list. 4. After choosing the condition (s) that need to be specified, click on the values with an underline. 5. Make changes in the description according to the rule you are setting. 6. Define what you want to do with the specified type of messages. As you require sending a reply via a template then choose the option and click on 'a specific template' from 'edit the rule description'. 7. 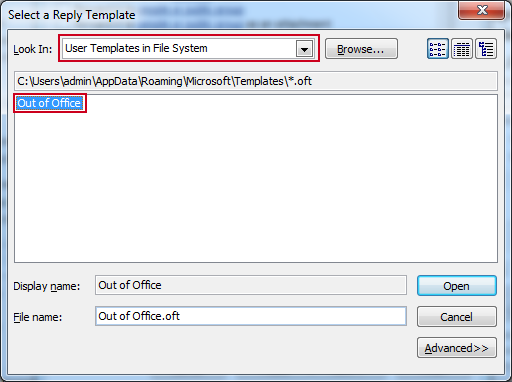 From select a reply template, select User Templates in File System and then choose template that have been created. 8. Click on Open to go back to Rules window and click on Next. 9. Now at the final step choose a name that you want to mention for autoreply and take a final look at the rule that you have created. 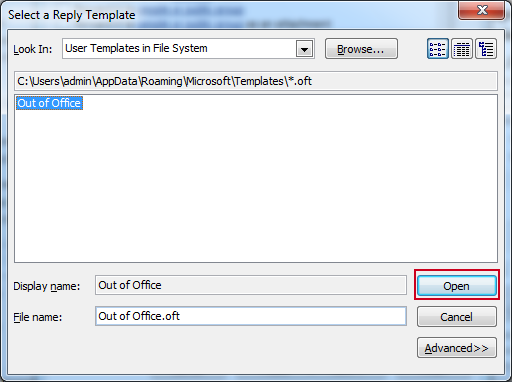 Ensure that the rule is on and then to finish click on Finish. This will save your rule. Conclusion: On creation of few auto response rule check the option - 'stop processing more rules'. This will prevent your vacation auto replies from mixing up with the rest. Other than that, remember to turn on the rule once you are back at your desk to end the rule and reply on your own. 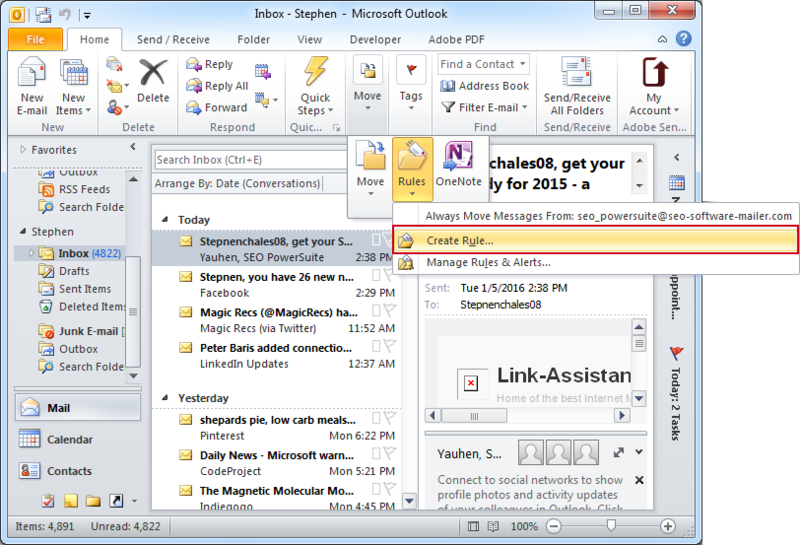 Till then enjoy Outlook replying to your messages on your behalf.